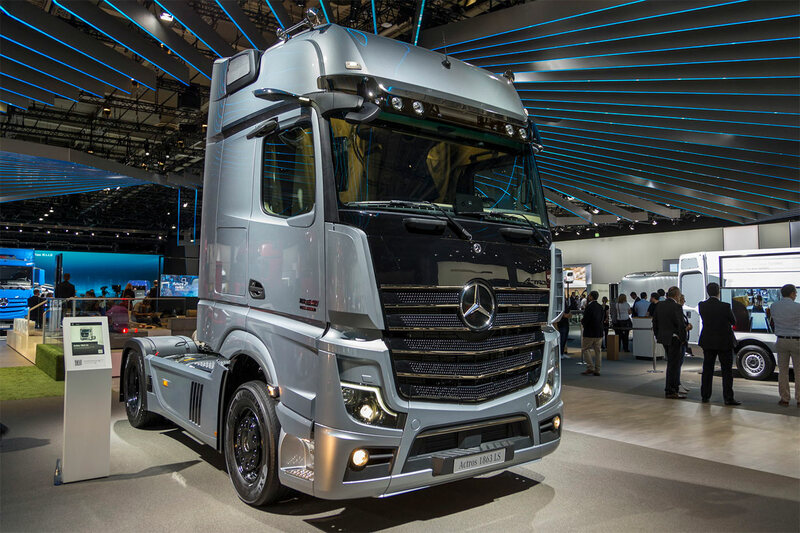 In addition to the presentation of Mercedes-Benz Actros of the new generation at the IAA 2018, Daimler showcased the Edition 1, which will be produced in a limited edition of 400 copies. It features special painting scheme with a black mask and chrome grille, while the logo received LED lighting. The Mercedes-Benz Actros Edition 1 can be ordered with a Big Space and GigaSpace cab.